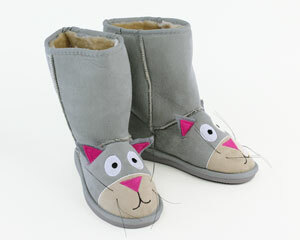 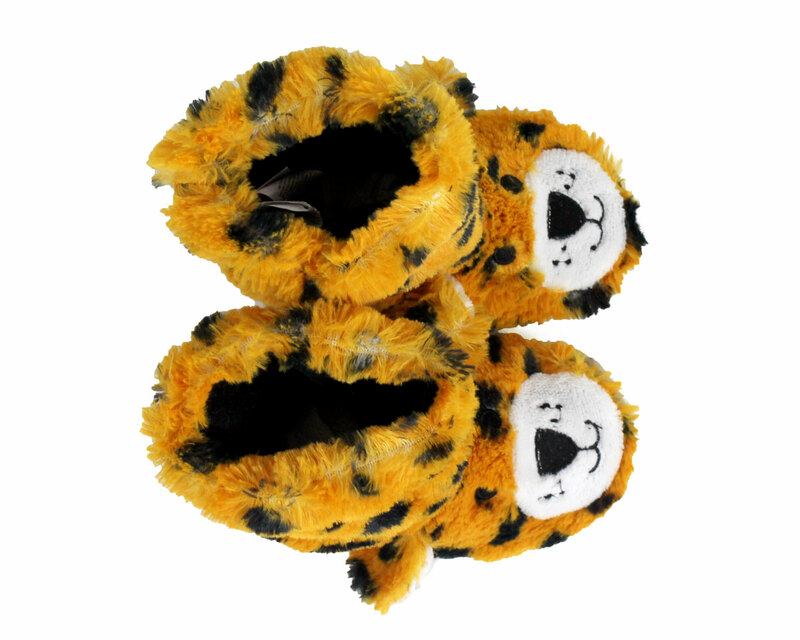 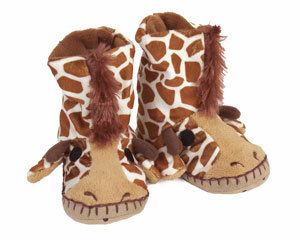 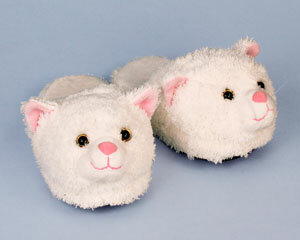 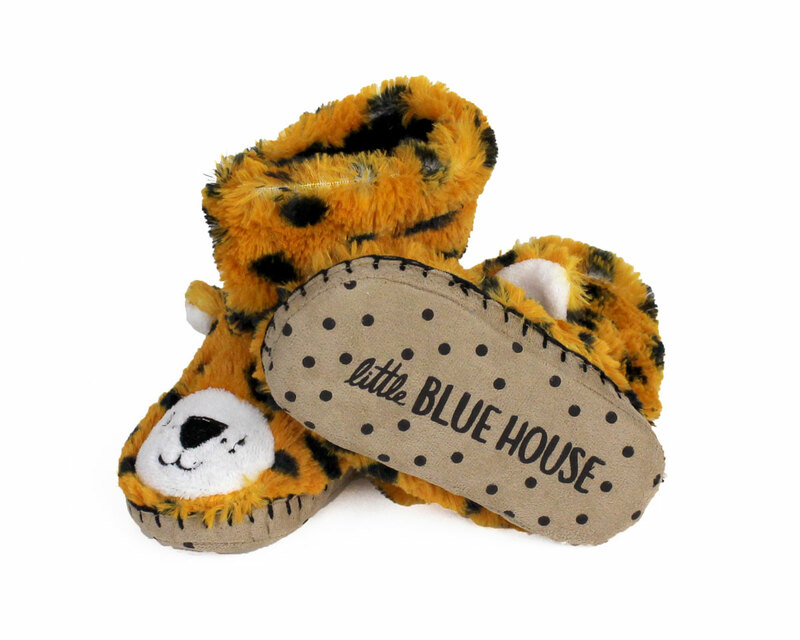 Plush on the outside, and fleece on the inside, these Leopard Slouch Slippers will keep your little one cozy! 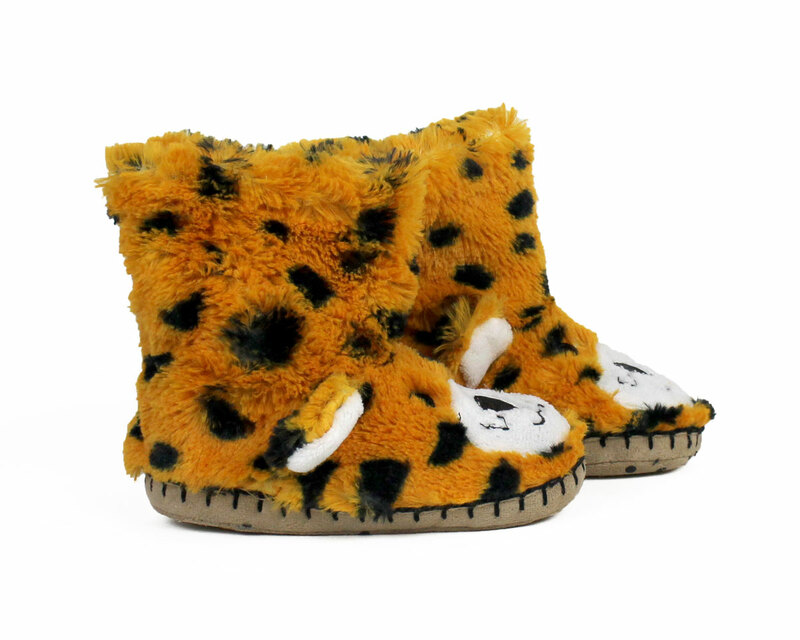 Orange and black spotted “fur,” embroidered faces, and sweet little ears complete the leopard look. 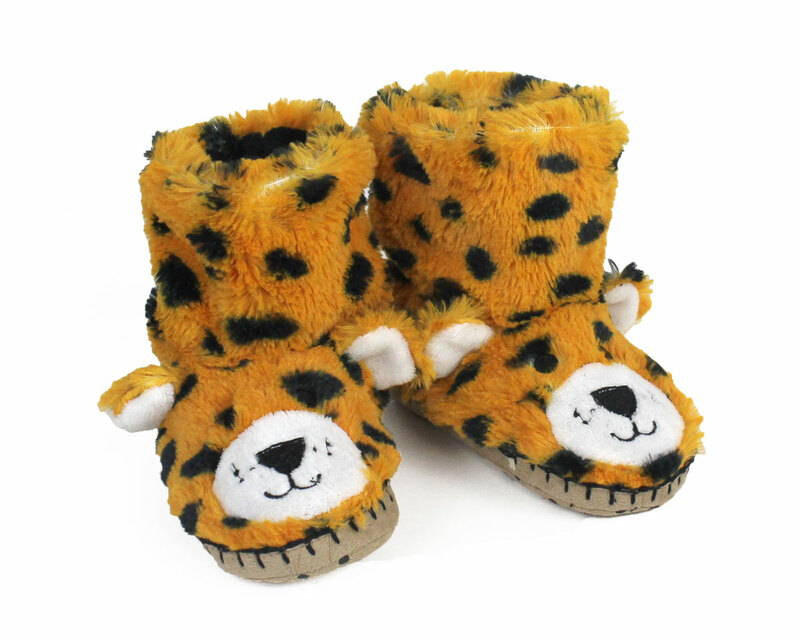 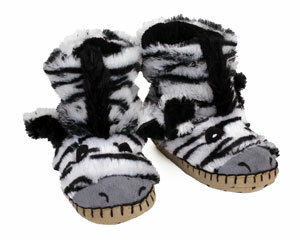 Cushioned, micro-suede soles will be durable and comfy, whether chasing wildebeest or racing across the savannah.